Yesterday I left my comfort blanket of Manchester to head across the countryside and rolling hills to Sheffield. Granted, it’s not far, and having grown up in the ‘Shire, it’s nothing new to me, but when I know the NQ like the back of my hand, leaving what I know is always a little different. Before arriving I took to Twitter to find out just where to brunch (if anyone off there reads this - thank you for all of your recommendations!). 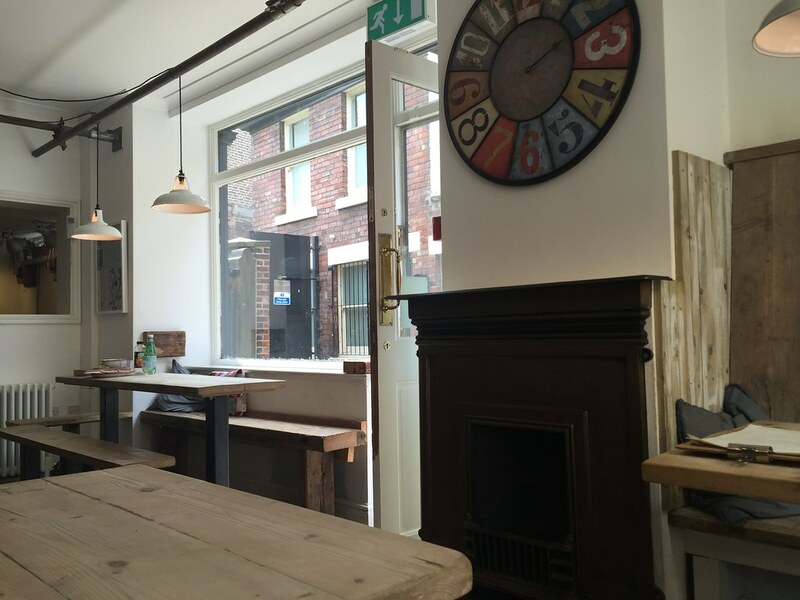 I ended up choosing Marmadukes Cafe and Deli hidden away on a cobbled street on Norfolk Road. Now, I’ll be honest, aside from the recommendation, what did initially sway me towards this venue was how pretty it looked and the website looked oh so sleek (props to the developer on that job). Brunch in Manchester is fantastic, you can get it all day and there’s so many places to choose from, but at the weekend, getting a table can be a pain so I was a little apprehensive arriving in the city at what I deem ‘peak brunch time.’ It’s fine if you’re an early riser but like a lot of people, we’d been out the night before having had one too many drinks, so I was dreading the 2pm heave of people. But upon arrival, getting a table couldn’t be easier. 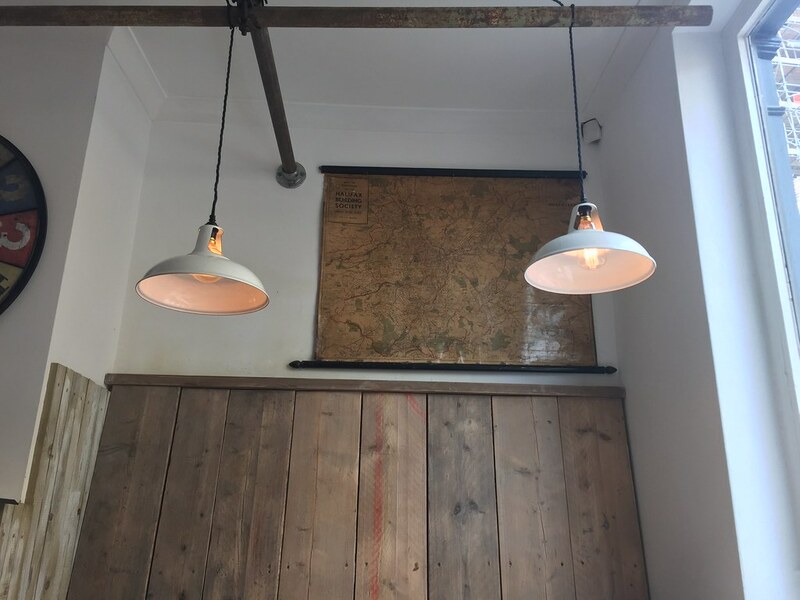 For those who haven’t been, you can sit outside on their little terrace, lodge yourself at the wooden bar for a spot of people watching or head around the corner or upstairs to further seating. I picked the best of both worlds - a table inside and by the window so I could have a little stalk at the world going by. Inside the design is minimal but homely and charming. There’s original features like stunning fireplaces, exposed pipe and wooden panelling. The bench tables come with lots of comfy cushions, the light floods through and the hanging plants add real character to the white wash walls. They offer a choice of breakfast, brunch and lunch, depending on what time you arrive. Breakfast is served until 11:30am which is a slight disappointment as I love a fry up (sorry body) but I have become very spoiled with Manchester’s never ending brunch deadline. But it did mean that I tried one of my all-time favourite brunch dishes - Eggs Benedict. I’ve lost count of how many different places I’ve tried in - so I wanted to see how it faired against my favourite EB place - Home Sweet Home. 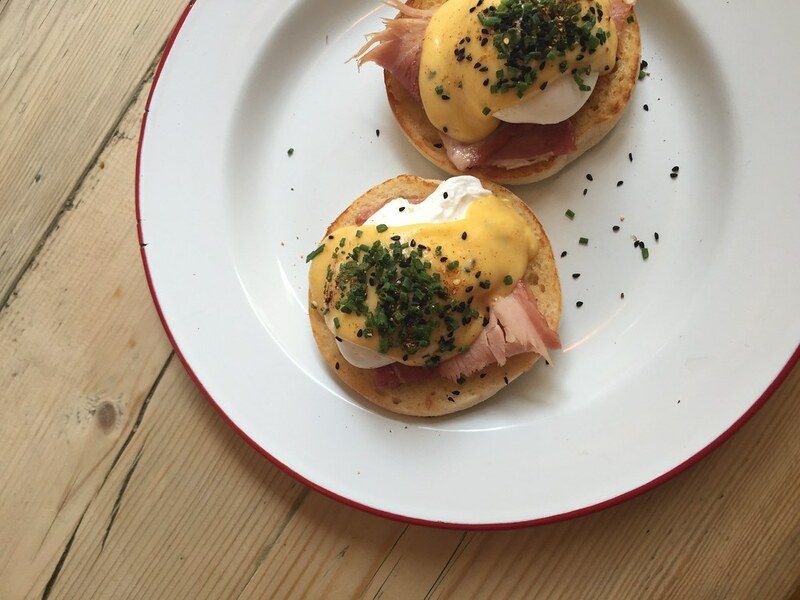 Unlike HSH and more aligned with its traditional serving, it comes with ham and for those unaware of what Eggs Benedict is - it’s poached eggs with ham and hollandaise sauce on a toasted muffin. The service really stood out for me - everyone was super friendly and food came out before I’d even had time to start some writing work, but I’m not complaining about that. I can never perfect a poached egg as they can be quite hit and miss whether you get it right, but they were perfectly cooked and the chives and hollandaise sauced sprinkled on top really gave the dish flavour. The local ham was delicious and came with just the right amount of bread without being overwhelming. If you’re not into your eggs they also do pancakes, sandwiches, salads, burgers and pies so basically all of the good stuff. 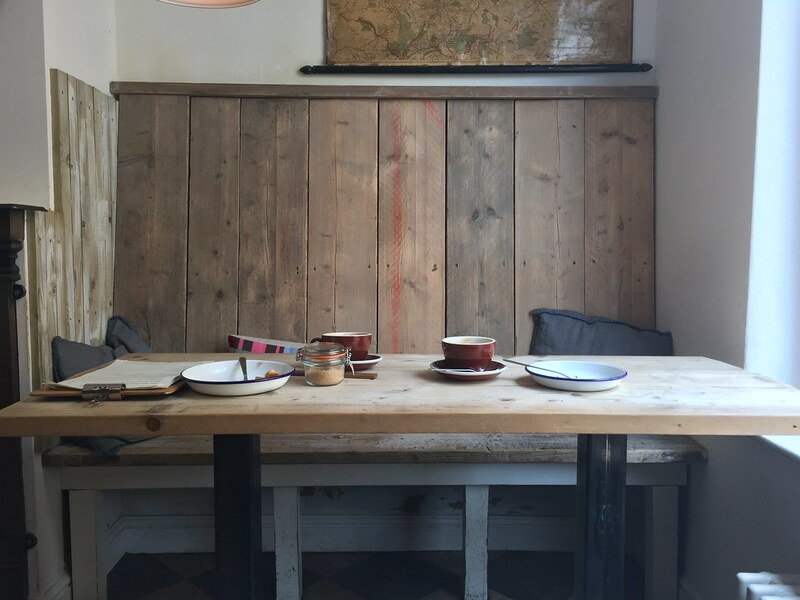 They have what looks to be a great coffee range but to this day I’m not a hot drink drinker, so I can’t vouch for what that’s like but as for brunch, service and venue - it’s a thumbs up from me!